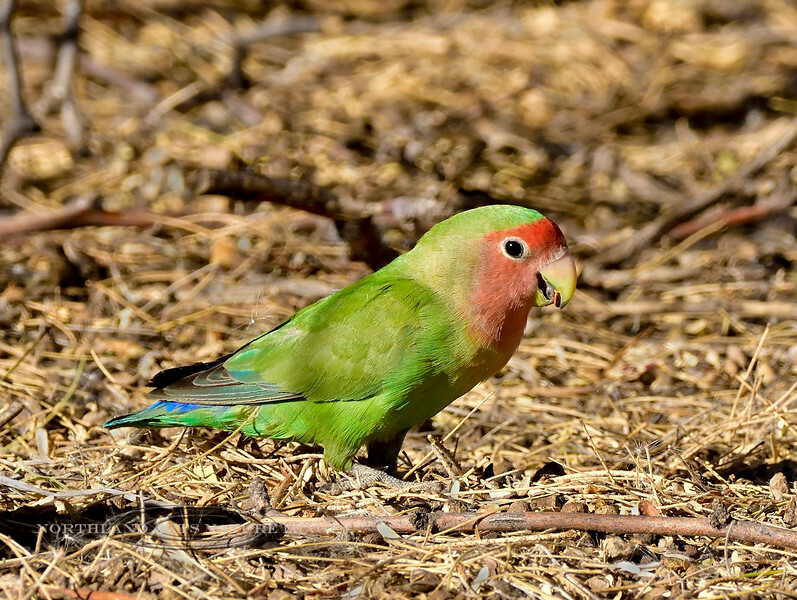 Rosey-faced Lovebird. Feeding under screwbean mesquite. Maricopa County, Arizona. #127.224.